DJ Prashant’s global dance party returns to his second home of Seattle to celebrate 8 years of bringing Indian culture to American nightlife. Born and brought up in India, DJ Prashant left his cushy Intel job in 2009 to start dance parties that have now become a national sensation. 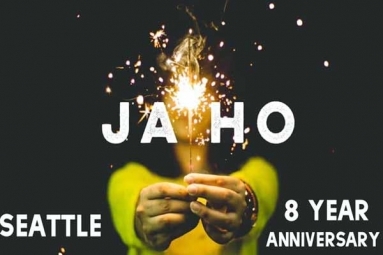 Launched in Seattle shortly after they were founded in Portland, over the last nine years Jai Ho! Dance Party has brought the best of Indian culture and its values to nightlife events in eight different cities - and Prashant kicked off this year introducing Bollywood music and dance to Central and South America, in Costa Rica and across Peru. Still, no other city compares to Seattle’s energy, so let's celebrate the only way we know how - DANCE ALL NIGHT LONG! 5 hour DJ set w/ Bollywood, Bhangra & his exclusive mixes. 412 North 36th Street Seattle, WA. In order to make Indian culture accessible to ALL, for all of 2019 we will be offering complimentary entry to first-timers across all cities. To take advantage of this opportunity, please pre-register & enter within 30 minutes of doors opening - we want you to get the FULL TASTE.